Home: Empoli, Firenze Italy Hot New Artist! 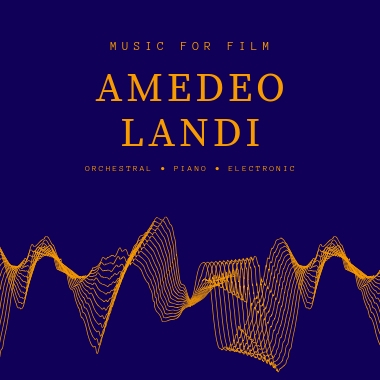 Amedeo Landi, based in Florence, Italy, is a music composer for TV, Film, Games, Trailers, and Media. He composes a wide variety of music, from epic, sweeping Orchestral and Orchestral/Electronic hybrid scores to intimate piano solos with strong melodies and themes. Amedeo's most important musical influences are Erik Satie, Debussy, Chopin, Philip Glass, and Hans Zimmer.